This episode of Investing in Real Estate is sponsored by Design My Soap! Designmysoap.com is a website that allows you to create your own all-natural soap. You choose the exfoliants, scents, and add-ins. Head over to designmysoap.com and use promo code INVESTING at checkout to get a free Investing in Real Estate branded vegan lip balm! Have you ever heard the saying, "You're the average of the five people you spend the most time with?" In my opinion, that adage is 100% true! When you start to invest in real estate, you'll undoubtedly encounter naysayers and negativity. On this episode of Investing in Real Estate, I'm sharing how you can reach success by distancing yourself from negativity. 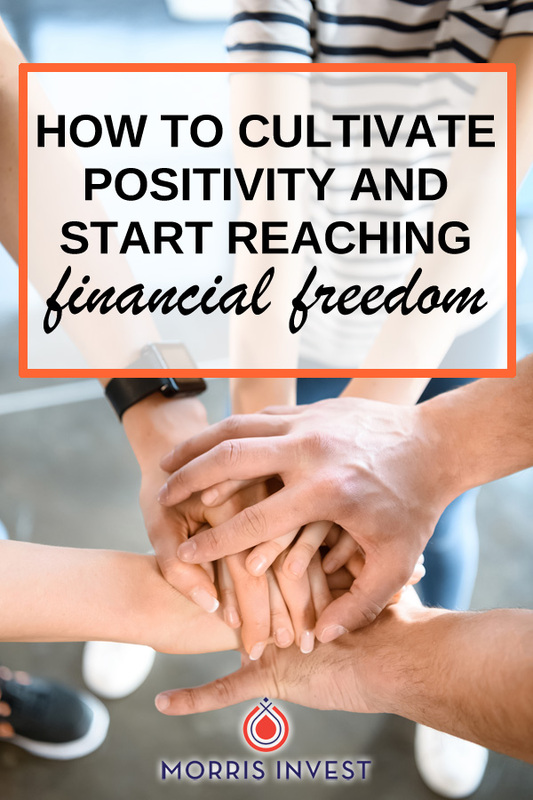 I'll share three specific steps you can take in order to cultivate positivity and start creating financial freedom. If you're ready to change your mentality and improve the company you keep, this episode is for you! Years ago when I worked on a small television show, I noticed that all of my coworkers thrived on gossip. Every day these people spent their time and energy discussing insignificant matters. I quickly noticed how unproductive these conversations were, and I see the same thing in my real estate career now. If you take a look at popular Internet forums, you'll find an influx of people who are focused on negativity and drama. I've noticed there's a link between gossiping and being unsuccessful. These people are never action takers, but they sure seem to have a lot to say. And it's these same people who try to diminish others in their efforts to find financial freedom. You might even find that you are related to some of these individuals. If you want to be successful, you should take inventory of the people you spend time with. Are you surrounded by people who try to crush your dreams and discourage you? I want you to pay attention to these people. Do they have experience? If they've never purchased a rental property or achieved the goal you're striving toward, I would strongly suggest you find your counsel elsewhere. Next, start to surround yourself with successful individuals. Seek out those who have accomplished goals similar to yours, and ask them to meet for coffee or lunch! Surround yourself with the action takers, attend local meet ups, and immerse yourself in a community of positive, encouraging people. It's also important that you start taking personal responsibility for any negativity that you personally contribute to your situation. Whether it is limiting beliefs or a negative mindset, you have to stop making excuses and start cultivating a mindset that will help you reach your goals. On today's show, I'll speak more in depth about surrounding yourself with the right people. I'll share my personal experience, and give specific examples of changes you can make. If you want to make a positive change in the new year, this episode is for you! What kinds of people typically put down real estate investing? How can you respond to unhelpful advice? What is the importance of taking personal responsibility? How can you stop speaking negatively to yourself?